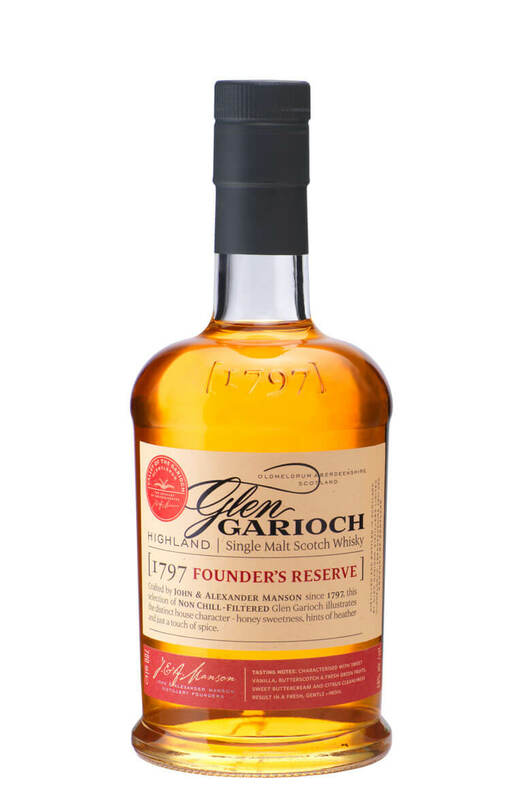 Glen Garioch 1797 Founders Reserve is the introduction malt to the new Glen Garioch single malt range. This combines both ex-Bourbon and Sherry cask matured malts and is non chilfiltered and bottled at 48%. Nose Sweet vanilla and butterscotch show the influence of North American Oak with fruitier green apple and grapefruit coming through at the rear. Palate At first the palate is sweet with hints of buttercream and vanilla. As this begins to ebb the fruitiness of the green apple skin and citrus cleanliness leaving a refreshed palate. F. Paul Pacult, The Spirits Journal. **** "Superb, lots of complexity here"